How to share my device for family use? 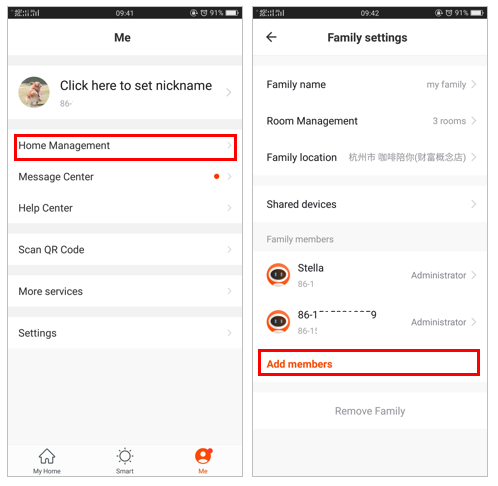 2、Click “Me-“Home Management” in the app to enter the family that needs to be set up, click “Add members”, add family and friends who need to share the device to the family, and share the devices in all the homes without having to The device is re-shared. Why can't I share it with others? 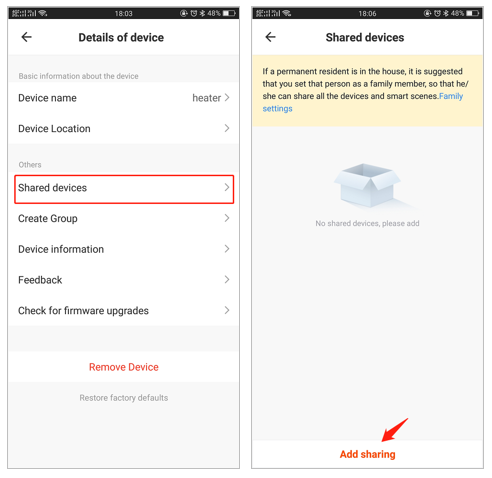 After sharing my device to family members, do I need to re-share it when adding a new device?